Equipment Rental Direct offers a large variety of portable toilet rentals in Jacksonville, FL. We match you with our verified partners to help save you up to 20%. Note: Portable Toilet Rentals in Jacksonville are subject to availability. Request a quote to get current inventory and pricing. *Note, price is an average rate based on our portable toilet rental suppliers Duval County. Renting a portable toilet in Jacksonville is a necessity for many reasons. Ideal for construction job sites, personal property for home renovations, and special events. Equipment Rental Direct partners with top rated portable toilet companies in Jacksonville that offer different types of units, from standard and basic portable toilets to deluxe, ultra-luxurious facilities that offer users modern conveniences. Standard Portable Toilets offer basic features such as toilet paper dispenser, a lockable door and a seat with a lid. Deluxe Portable Toilets offer all standard features but also include a built-in sink and soap and paper towel dispenser as well as a mirror in some units. Ultra Deluxe Portable Toilets come equipped with both the standard and deluxe features as well as a flushing toilet, upgraded interior light. These units are also available in a trailer version, where users will not feel like they are using a basic portable toilet. 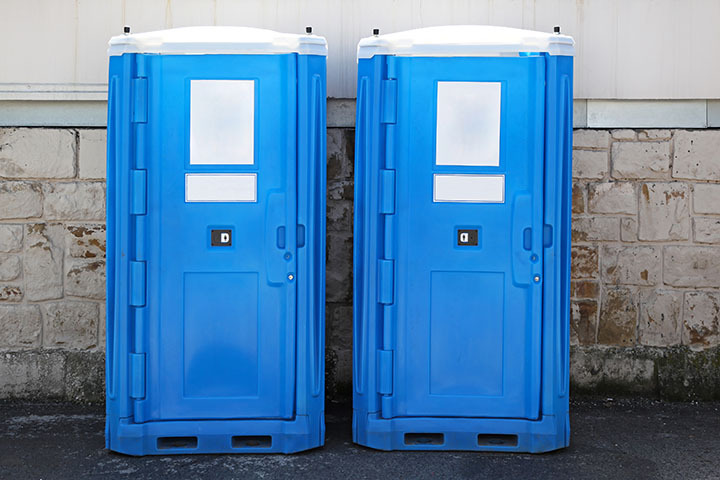 Renting a portable toilet in Jacksonville is a must if you plan on having lots of people in an area that is not well equipped with facilities or if a construction site does not have accessible facilities nearby. Equipment Rental Direct has made it easy for you to receive multiple quotes on portable toilet rentals in Jacksonville. By comparing prices, you are able to save money by choosing the quote that best suites your needs and budget. Our simple to use quote tool saves you time as well, eliminating the need to price shop online as we have done all the work for you!